Yesterday the Amazon Breakthrough Novel Award announced the entries that have been accepted into the second round of the contest. Hitler and Mars Bars will join 999 other entries in the next round of their Adult Fiction category. Congratulations and good luck to all my fellow hopefuls! I’d hesitated before I submitted the novel to the contest. 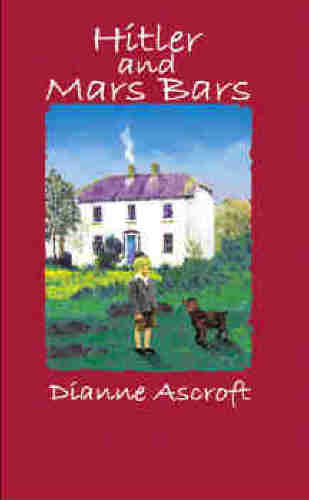 Hitler and Mars Bars is such an Irish book, set mostly in a traditional Irish environment, that I wondered whether it would be Penquin’s cup of tea. I imagine a publisher like Brandon Books , O’Brien Press or Blackstaff Press would be a better fit with this novel. But I don’t know for sure as I haven’t gone the mainstream route to print. My manuscript won the Book Deal Contest run by Trafford Publishing and Ireland’s Own magazine in 2004 so I’ve never got around to approaching a mainstream publisher with it. Despite my misgivings about entering the contest, I decided to give it a go. If the book progresses far enough, I look forward to hearing readers and expert reviewers thoughts on it. Now, maybe I’ll just put my feet up and wait for the results of this round to be announced…uh, well no, I think I’d better scribble something to take with me to our writers’ group session this week. This entry was posted in February 2010 and tagged Amazon Breakthrough Novel Award, Blackstaff Press, Brandon Books, Hitler and Mars Bars, O'Brien Press, Penquin Books, writing contest. Bookmark the permalink. Congratulations, Dianne! Will cross my fingers and say an Irish blessing. Thanks Dave and Linda for your good wishes! I’ll keep you posted on how it goes.